Professor Mathew Gendle has participated in two stair climbing events. Mathew Gendle, associate professor of psychology at Elon University, is a recreational stair climber. Having run competitively for some time, Gendle was looking for a way to push himself beyond standard running events. “I’m a fan of unique sprint events,” Gendle said. He decided stair climbing was what he wanted to do. A Stairmaster machine can often be found in the average gym. However, this form of exercise has evolved into an organized sport, with races taking place across the world and groups such as the Canada Stair Climbing Association created in order to connect athletes pursuing the activity. Although some are drawn to the exercise for its fitness benefits, Gendle has found it to be more than physically challenging. “For me the big thing for tower climbing is that it requires more mental exertion than anything else,” Gendle said. The races, also known as tower running events, involve a dash up multiple flights of stairs. Gendle recently competed in the “Climb MS: Power Up the Tower” event. Hosted by the North Carolina chapter of the Multiple Sclerosis Society, Climb MS has challenged runners for the past two years. The 2011 Climb MS event took place at Winston Tower in Winston-Salem, N.C. (Image courtesy of empories.com). Event organizer Derek Hill saw the event as a unique opportunity for the MS Society, one that would distinguish itself from organizations hosting traditional 5K and 10K races. “We thought that if we were going to start small we would at least be able to set ourselves apart from many of the other ‘running’ races in the area,” Hill said. 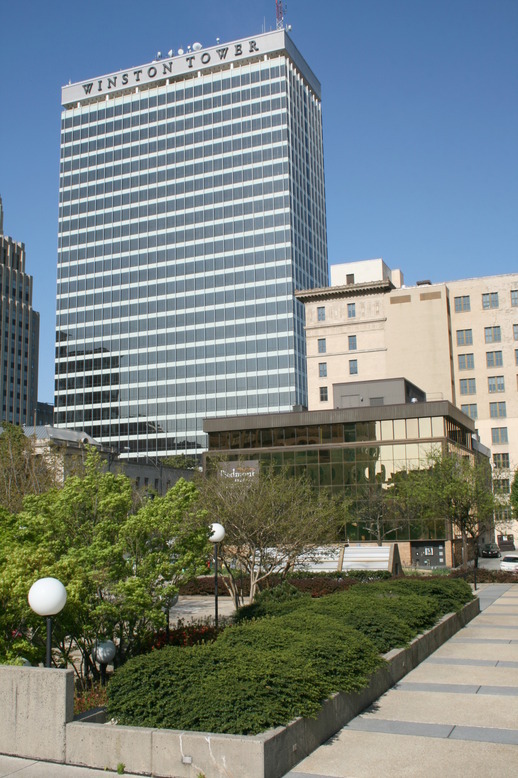 Professor Gendle participated in this year’s event, which took place at the Winston Tower, one of the tallest buildings in Winston-Salem, N.C. He climbed the 30 flights of stairs in just over four minutes, finishing in fourth place amongst male competitors. Gendle’s goal is to run the Empire State Building Run-Up Event, the tallest stair climbing event in the nation. In order to run, runners must apply and are selected based on athletic ability. In the meantime, he has a few unique events on his radar. This summer he plans to participate in the Ultimate Runner event in Winston-Salem, N.C.
“In the afternoon you do 100 meters, 400 meters, 800 meters, a mile, and a 5K cross country race,” Gendle said. Runners must complete these races back to back. This is pretty fascinating stuff! A question I wish you had answered is whether the stair athletes race individually on the steps (so there’s no pushing and they are running against the clock and not bumping and trying to go up against one or more other climbers) or if it is a bunch race. Nice job picking up this fun story about a really neat Elon faculty member! One correction suggestion. In the second-to-last paragraph, you should make meantime into one word.